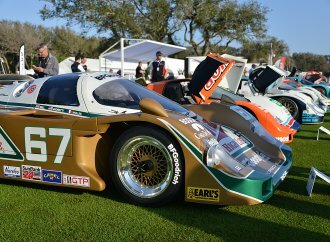 Winter Autofest is gearing up for another massive dose of automotive gatherings February 22-24 at the Sun ‘n Fun Campus in Lakeland, Florida. Hosted by Carlisle Events of Pennsylvania, Winter Autofest features a number of car events, including the inaugural Winter Regional Meet of Corvettes at Lakeland presented by the National Corvette Restorers Society, including Corvette-specific vendors, swap meets and seminars, as well as hundreds of Vettes on display. 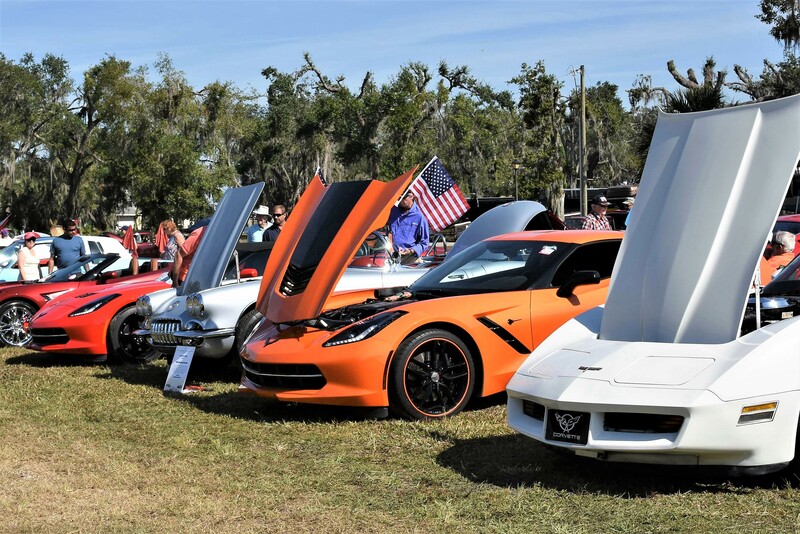 “It’s really going to be fun hosting the NCRS Winter Regional event along with our Lakeland Autofest,” Lance Miller, Corvettes at Carlisle event planner, said in a news release. “We’re excited about this unique opportunity and feel confident every Corvette owner in Florida should attend this event. Other special events at Autofest include Imperial Mustang Club of Polk County with hundreds of Ford Mustangs for everyone to enjoy, plus a genuine P51 Mustang airplane; a free cruise-in for collector cars of every kinds; aeronautical events and displays, including helicopter rides; hundreds of vendors and parts suppliers; and two days of Carlisle Auctions bidding. 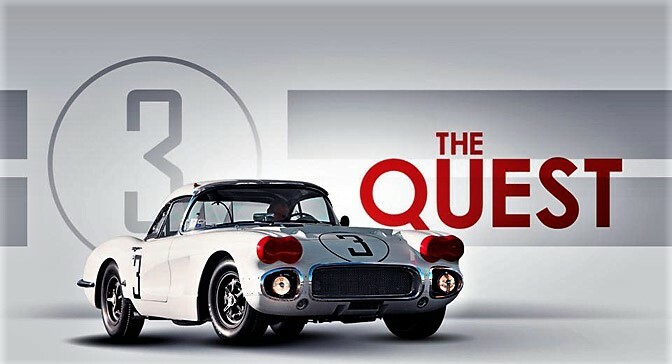 As part of the Corvettes at Lakeland extravaganza, a special screening of the 2011 film The Quest will be presented on Friday, February 22, exclusively for event VIPs and Saturday, February 23, at 5:30 p.m. for everyone. Produced and directed by Michael Brown, “The movie traces the rich history of a specific racing Corvette as well as a son’s love for his father and proves that it’s possible to triumph when faced with tragedy,” according to the news release. The film focuses on the story of the first Corvette to win its class at the famous 24 Hours of Le Mans in France in 1960 and traces what happened not only to the car but to its acclaimed driver, John Fitch. The Quest goes on to follow how Corvette enthusiast Chip Miller pursues his dream of finding, acquiring, restoring and ultimately returning the No. 3 Cunningham Corvette to France with its original driver to mark the 50th anniversary of its historic victory. At the screening will be Chip Miller’s son, Lance Miller of Corvettes at Carlisle; director Brown; and Kevin MacKay, who helped the Millers restore the race car. There will be a question and answer seminar after the screening. Copies of the movie also will be for sale. A one-of-a-kind Fender Stratocaster electric guitar has been created by Cincinnati artist David Snyder to help celebrate the Cars of the Rock Starts class at the Amelia Island Concours d’Elegance, and will be offered in a charity sale by RM Sotheby’s auction on Saturday, March 9. The concours takes place the following day. 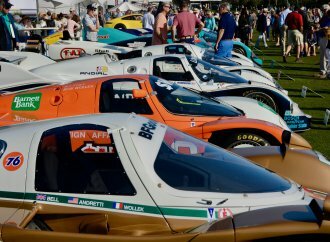 The concours display will highlight cars and guitars owned by rocker John Oates, of the famed duo Hall and Oates, as well as vehicles owned or associated with well-known rock stars. 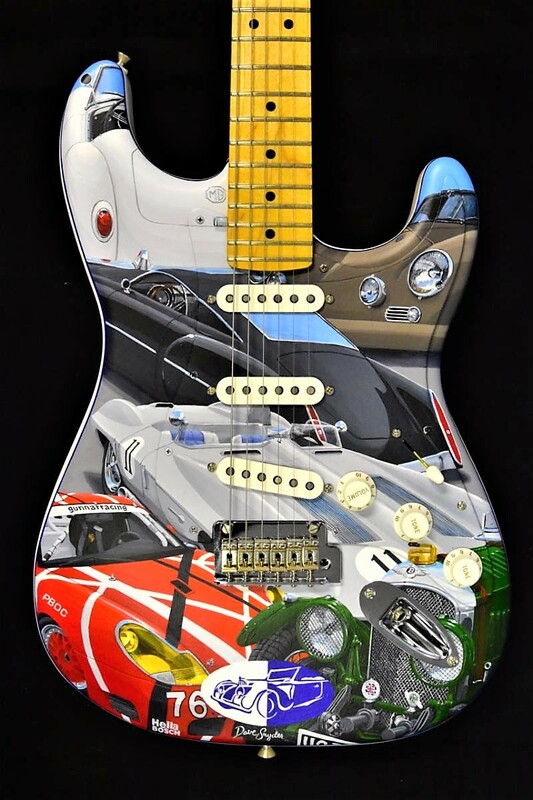 “This Cars of the Rock Stars Fender Stratocaster features automobiles owned or closely associated with successful musicians, hand-painted by David Snyder in acrylic,” according to a concours news release. “The headstock is inspired by the hood of Janis Joplin’s 1964 Porsche 356C. Other highlights include the 1959 Chevrolet Stingray Racer driven by Elvis Presley and a Porsche 911 GT3-R customized to celebrate the music and instruments of Eddie Van Halen. 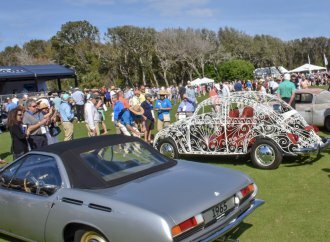 Two of Oates’ own cars that will be in the concours are painted on the guitar, a 1959 MGA Twin-Cam roadster and a 1960 Porsche 356 cabriolet customized by Rod Emory of Emory Motorsports. 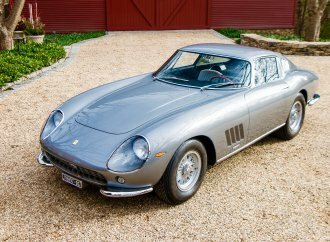 The sale of the guitar will benefit The Amelia Island Concours d’Elegance Foundation. 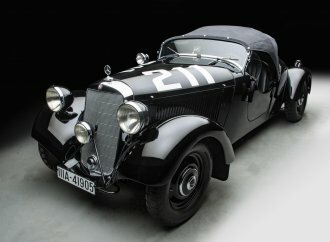 For more information about the concours, visit its website. Or for the auction, visit its website. Comedian, media personality and record-setting podcaster Adam Carolla will be grand marshal of the Classic Auto Show, which takes place March 16-17 at the OC Fair and Event Center in Costa Mesa, California. As well as serving a grand marshal, the passionate car collector will treat guests to vehicles from his own collection, participate in an interview on the celebrity stage and meet car show spectators. 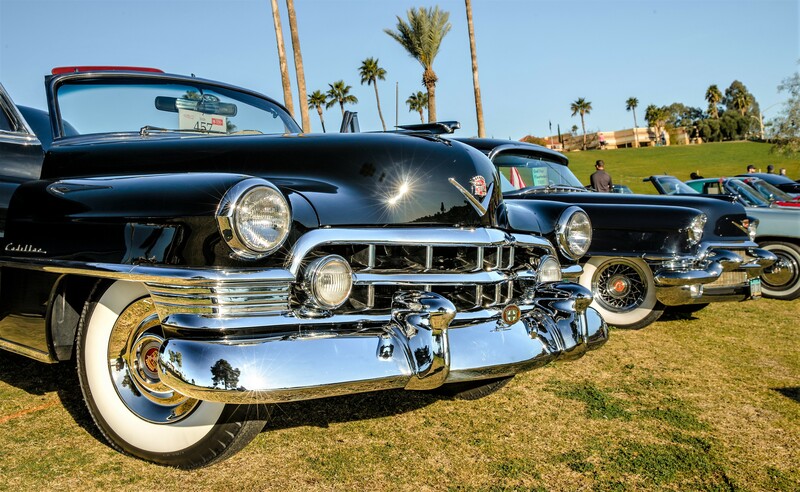 Hundreds of collector cars, trucks and motorcycles will converge 0n Fountain Hills, Arizona, on February 9 for the annual Concours in the Hills, held on the grass surrounding the town’s signature lake and world-famous fountain. 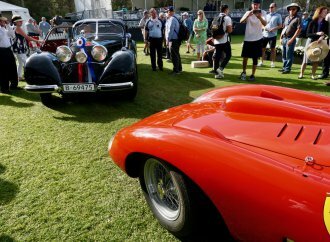 Hosted by Scuderia Southwest, the car show features exotics, sports cars, races cars, muscle cars, classics, trucks, bikes and military vehicles. For information, visit the event website. The 83rd annual meeting of the Antique Automobile Club of America will take place February 7-9 at the Philadelphia 101 Hotel (formerly the Sheraton Philadelphia), with features including seminars, banquets, trade shows and vendors. This year the meeting focuses on Women in Automotive History. For information, visit the event website. The World of Wheels hosts two annual shows February 8-10, one at David L. Lawrence Convention Center in Pittsburgh and the other at Market Hall in Dallas. For information, visit the events’ website. The 55th annual Darryl Starbird Rod & Custom Show will be held February 15-17 at Expo Square in Tulsa, Oklahoma, with a wide-ranging array of shows, including a demolition derby, minibike drags, hooning with cackling and burnouts, a Rockin’ Billy Bash and the Cool Car Corral. Information about the car show, which claims the title of largest in the Midwest, can be found on the event website.